back to the future hilarious but please don’t mess with my clock…. 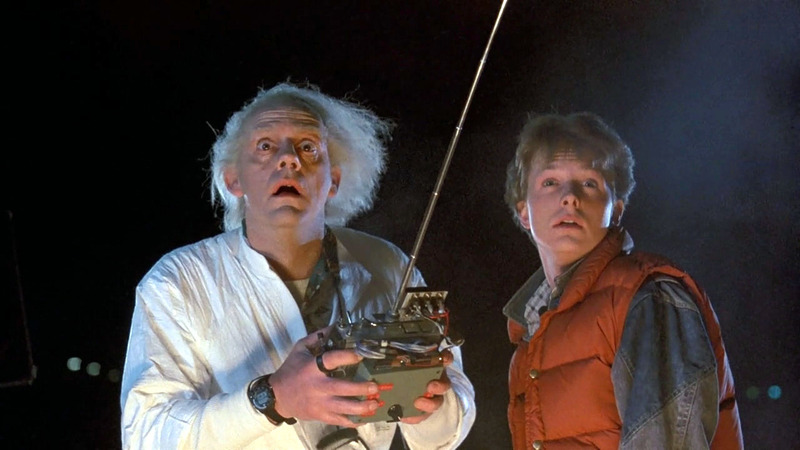 Time travel isn’t just part of the plot line for science fiction books and films. and now we’re doing it again. At 2 a.m. Sunday, daylight saving time begins. We “spring forward” one hour – even though the season of spring doesn’t begin until March 20. And we’ll travel backward in time on at 2 a.m. on Sunday, Nov. 3 when we “fall back” in time. At least then we’ll be doing so in the right season, since fall begins Sept. 23.
our forward and backward travels through time will come to an end. They filed a bill in the Senate Wednesday to extend daylight saving time for the entire year. They call it the Sunshine Protection Act. to adopt year-round daylight saving time. But the change can’t take effect unless Congress changes federal law. to make daylight saving time nationwide. strokes, seasonal depression, robberies, childhood obesity and energy use. two hours would we get twice as much benefit? Rubio introduced the Sunshine Protection Act last year and it went nowhere in Congress. legislation this year to help it become law now. We can start with a new name. “Sunshine Protection” sounds like the name of a suntan lotion you buy at the drugstore. The senators need a name the media will go wild over, giving their legislation massive news coverage. at least when little kids draw it with crayons. and turn America into another Venezuela. since they won’t have to adjust to new milking times. pardon the expression – cow farts. because they won’t have to keep changing their schedules twice a year. On balance, I’m in favor of the bill. But the senators from Florida need to be careful for what they wish for. and pretty much everything else in our lives. The Green New Deal is already attracting a lot of criticism due to its hefty cost. get if the Green New Deal fails. so is legislating the actions of the sun. which would be taxed at a new 100 percent tax rate. all the other wild ideas in the Green New Deal. daylight saving time 365 days a year is that Russia no longer observes it. with the Russians in drawing up the bill springing us forward once and for all. Who can possibly argue with a plan that would move America forward and leave Russia behind?